Once upon a time, I was a size 2 and never had to think twice about whether something was flattering on my body. Eventually my love for carbs started to show and I grew out of that size 2 and into a 10. This transition caused me to hesitate before trying to pull off cropped styles. I even gave them up at a certain point and decided they weren't for me any more. Many fashion critics would agree. They'll tell you crop tops are reserved for those with flat stomachs and toned abs...but we're not going to listen to them (idiots)...we're going to listen to me (genius)! Now that our IQ levels have been properly measured, let's talk about crop tops and how to make them work when you're not a size 2. Pair your top with high waisted bottoms. This helps create a flattering silhouette while balancing out part of your tummy. Be mindful of where you're shopping. It's easy to get discouraged in the fitting room, so make sure you're giving yourself a fair shot. Clothing in stores like Forever 21 are cut small and may not be the most flattering. Opt for stores with higher quality fabrics and true to size cuts. All crop tops are not created equal. Some are short and tight while others are long and wide on the bottom. Try on different styles and go with what's most flattering for your shape. Layering is an instant way to make an outfit more interesting. Layering can also compliment your crop top and pull your look together! Add a blazer, duster, or a layer of your choice to create a cohesive look. Make sure you're comfortable and confident. With the right confidence, you can pull off anything. Seriously, anything. 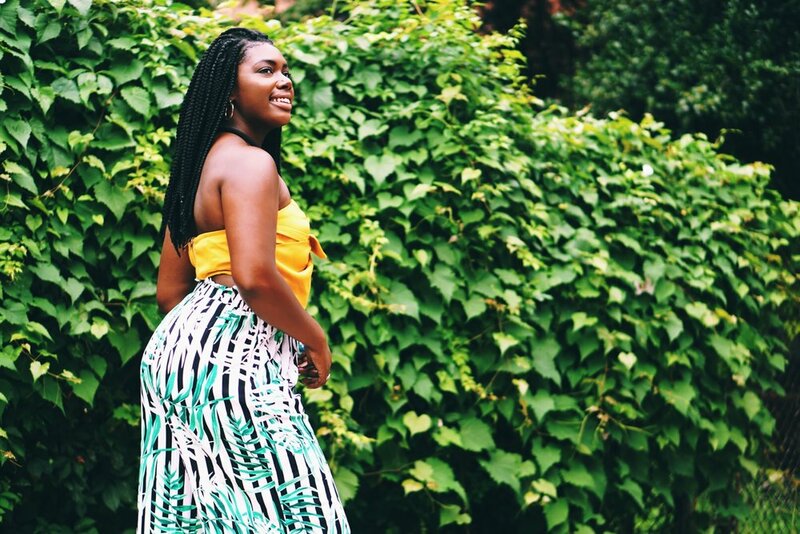 Scroll through the gallery below for some curvy girl crop top inspo!